A year or so ago my mum bought back a whole heap of fabric from a trip to Japan. One of these fabrics was a $4, 1.1 metre remnant that I fell in love with instantly. It was a lilac-grey linen and cotton blend with little bunches of deep pink and red flowers and strawberries scattered all over it. I knew as soon as I saw it that it would eventually become an Oliver + S jump rope dress. 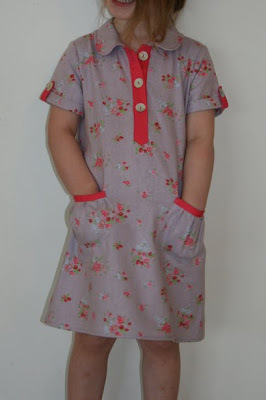 I made view B of the jump rope last Summer and it was hugely popular with Sweetpea and me! In fact I think that dress may be one of the most favourite things I have ever sewn. This year I sewed up a size 4, which has a fair bit of growing room for the rest of the season. I also added a wee bit of length for my beanpole. 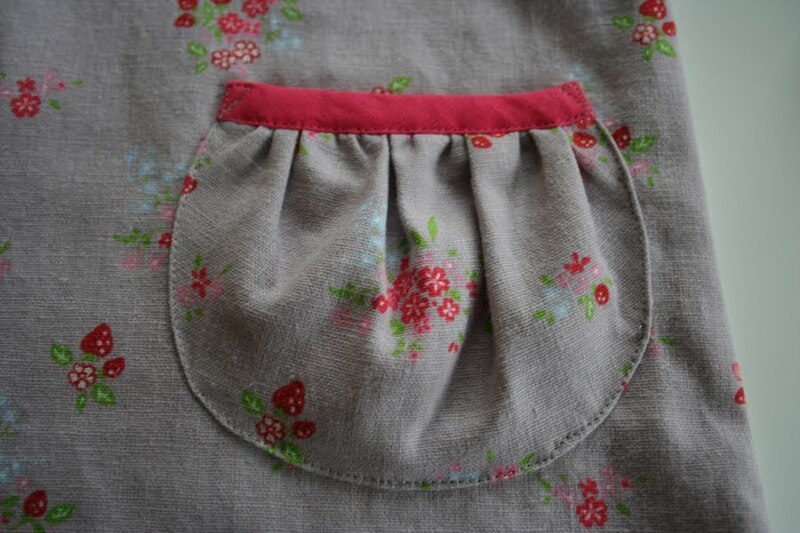 The plackets, sleeve tabs and pocket trims are made up in a hot pink pure linen. Gorgeous fabric but it has a life of its own and slipped all over the place when trying to sew it. Not much more to say about this - love the pattern and love the fabric, so am pretty happy with this dress. I am still sewing & nesting like mad, and now have two new baby girls to sew for ASAP before my own baby arrives in (hopefully not less than) three weeks. Sorry for the shocking photo... here's the dress! MOP buttons (which I think are a little too big?) 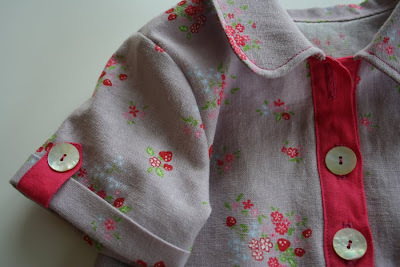 and pink topstitching on the collar. I think the pockets really make the dress. My mum is fab: she watched the kids for me a few weeks back, and when i came home she had folded a flower hairclip out of the dress scraps. 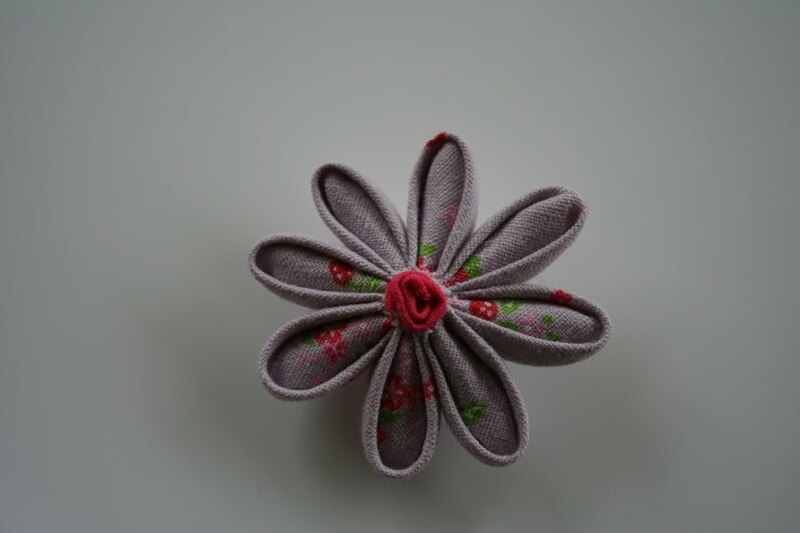 How sweet of your mum to make the hairclip! The dress is really pretty. Love this Claire! Your mum is the best best - fabric and now hair clips out of the scraps - can she adopt me please.